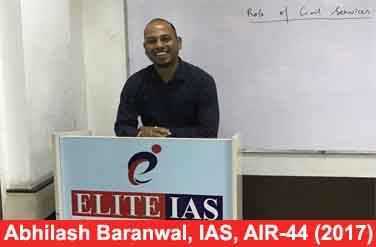 Elite IAS is one of India’s best IAS coaching institutes in Delhi. The institute was founded in 2012 by Bibhash Sharma with the aim of empowering IAS candidates and IAS Coaching system of India. 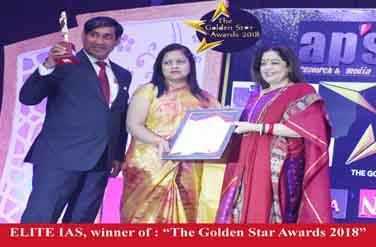 Being the primary pillar of the Elite IAS Academy and Best Sociology Faculty in Delhi, Mr. Sharma has the responsibility to deliver the best IAS coaching in Delhi. We develop our systematic teaching method for all our students. Our faculty encourages students to develop a positive attitude to crack the IAS exam. Prepare your dream career with the help of our high-quality mentorship. With the passion of crossing, we are constantly working hard to provide unique learning experiences. With constant efforts, Elite IAS offers the best UPSC coaching classes at every level of the civil services exam Preparation. The institute is a proud owner of topic specialists and experienced faculty. As a result, we are successful in providing personal guidance to each IAS interested person. In all UPSC coaching courses, our faculty help students to gain basic conceptual clarity. Obviously, the success stories of our previous batches prove the quality of education. Elite IAS academy strongly believes in performance-oriented coaching performance. We are committed to quality and consistency during all our classroom and online coaching programs. As a result, it has made us live on top of the best Civil Services Exam preparation offering in Delhi. Each IAS candidate joining our institute has talent and dreams. Our duty is to nurture them through a systematic and proven coaching program. Keeping this in mind, our faculty combines subjective classes with motivational and personality development classes. Student’s ability is sometimes not limited to certain limitations. With the help of the right advice, we have enhanced the capabilities of the IAS aspirant. 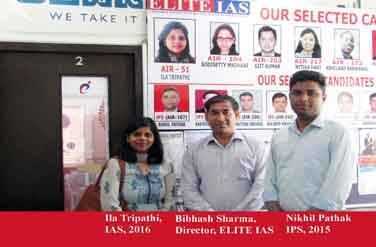 The expert team in Elite IAS has the ability to convert ordinary students into determined civil servants. Apart from this, we provide an equal learning opportunity for all students. We monitor all our academic partners to help students overcome all doubts. In essence, all students are guaranteed to experience the best learning environment to transform their goals into reality. 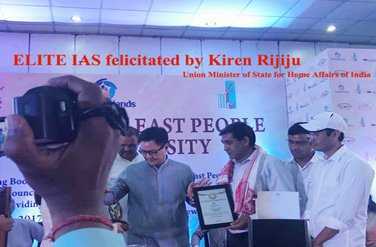 Facilitated by none other than Kiren Rijiju, the Union Minister of State for Home Affairs of India, Elite IAS Academy has been providing almost perfect coaching to the UPSC aspirants. Since 2012, quite a number of students after having received coaching from the Academy have already cracked the exam successfully and are serving the nation as competent Civil Servants. 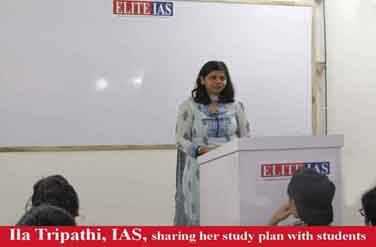 Elite IAS Center: Elite IAS operates two UPSC coaching centers in Delhi to prepare for the Civil Services Examination. One is located in Mukherjee Nagar and the second is in the old Rajendra Nagar (Karol Bagh). Both locations are called hubs of Best IAS coaching centers in Delhi. The medium of Coaching: Elite IAS provides the Civil Services coaching in English and Hindi medium with classroom and online coaching facilities. Hostel Facility: Elite IAS has a tie-up with the Best and trusted hostel and PGs near the coaching centers Old Rajendra Nagar (Karol Bagh) and Mukherjee Nagar. 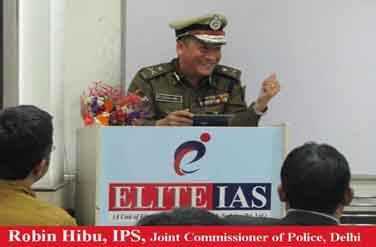 Elite IAS keeps all records of hotels and PGs for students safety purpose. This facility helps the Elite IAS Academy’s students to settle in the comfort zone of learning and hassle-free stay in hostel/PG. Trust Score of Elite IAS: Since its establishment, the elite IAS Academy has maintained a realistic position among the top 10 IAS coaching institutes in Delhi and gradually ranked high on the basis of success rate, coaching methods and ranking of IAS institutes. Apart from this, we are ranked as Best of top 5 IAS Coaching Institutes in Delhi, Best UPSC coaching institute, UPSC coaching in Delhi, Best Civil Services coaching in India, Top 10 IAS coaching in Delhi, Top IAS coaching in India, IAS coaching near me, Best coaching institute for IAS in Delhi by the top online trusted sources. Elite IAS provides classroom coaching for UPSC Exam preparation with the support of experienced faculty. The right mix of classroom lectures, practice tests, and study materials leads to perfect IAS exam preparation. Students can choose to join in any of the upcoming classroom batches and enhance your possibilities of becoming an IAS Officer. We have designed the time-bound classroom coaching course delivery sessions. As a result, the whole UPSC syllabus is completed without any hassle. Our classroom coaching programme includes GS integrated course, Upgraded Foundation Course, and 3 years integrated course for undergraduates. In addition, we also take up classes for Optional subjects that include History, Sociology, and Economics, etc. after Joining the Elite IAS academy, you can get a chance to learn from top faculty who are the subject matter experts. We blend quality teaching with individual attention. It has helped us to deliver the Best IAS Coaching for UPSC Prelims and Mains Exam Preparation. Online coaching has gained popularity in recent years. Students prefer to join online coaching courses from the Best UPSC Coaching Institutes in India. Keeping this in mind, We have designed interactive online coaching courses. Now, Elite IAS is not limited to classroom coaching training. we also provide online coaching for IAS Prelims and Mains including optional subjects with the best quality videos and supporting study materials. Our platform allows distant learning students to clear the doubts whenever needed. This feature of our online coaching course helps us to stand out from the other IAS Coaching Institutes in India. Elite IAS introduced online coaching with the aim of delivering excellent coaching to remote students. The availability of online courses has helped many students to cut down their transportation time. In turn, they can invest the same time to revise and practice. Preferably, sit in your comfort zone and start preparing for your IAS exam. We promise the distance learning students to acquire the best online coaching for IAS exam preparation. Utilize the new key to success at our institute. 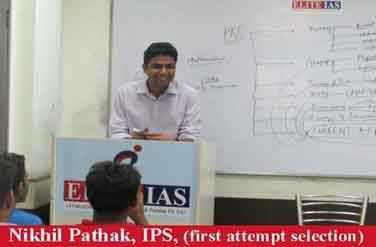 Elite IAS has designed its Test Series to enhance the preparation level of IAS students. You would have put all the possible efforts to learn different concepts and current affairs. Now, it’s the right time to take up test series. Our practice tests have proved to be the key element that increases the candidate’s confidence level. All the test series are logically prepared that includes standard questions from the UPSC exam. As a whole, test series have become an important element in our best UPSC coaching in Delhi. Students can Choose the best test series and practice regularly throughout the IAS Exam preparation period. Elite IAS has made your job easier. You will get an opportunity to undergo the virtual exam experience. Attending the standard questions will sharpen the candidate’s skills. We offer the test series for both UPSC Prelims and UPSC Mains Exam. The questions for UPSC Mains & Prelims test series are set in both Hindi and English Medium, so you can join our IAS test series programme in your preferred language. Additionally, we also provide the test series for optional subjects that includes the History, Economics, and Sociology test series. Due to the prominent hurdles and obligations, many of the IAS aspirants are unable to join the UPSC Coaching Institute. Keeping this in mind, Elite IAS has come with high-quality postal courses. Most importantly, the aspirants can plan their IAS preparation time along with other work. We provide the complete study materials to the students who take up correspondence course. There is no need to wait for the perfect time to begin your preparation. It can happen right at your doorstep. Our postal course has helped thousands of remote students in preparing for the UPSC exam. Most of you tend to sacrifice the dream just because of the absence of the right coaching institute. We understand that every aspirant cannot board the train to join the Best IAS Coaching in Delhi (here we mentioned Delhi because Delhi is known as the best place to prepare for IAS). By clearing all the confusion related to the exam preparation, we are successful in providing the conceptual clarity through our postal courses. Also, our well-equipped study materials save your time and money.